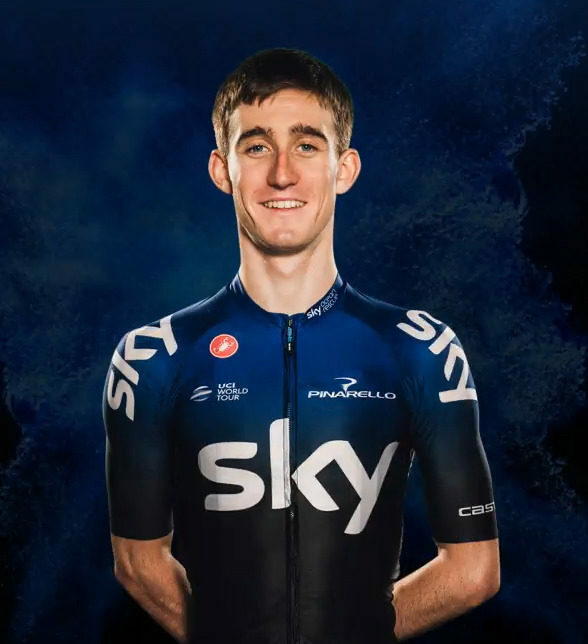 Eddie Dunbar raced with Team Sky at the end of last season but his first full campaign with the squad gets underway this week. And he just might get a chance to have a go himself. Eddie Dunbar will get his season underway at Tour de la Provence (2.1); a short race against the clock kicking off proceedings on Thursday. And while Team Sky runs a tight ship, with most of its riders working for the success of a few; this race may be one where Dunbar gets a chance if his form is good. With Eddie Dunbar for the four stages are Leonardo Basso, Owain Doull, Ben Swift, Filippo Ganna, Chris Lawless and Diego Rosa. Doull has already won a race this year, claiming stage 3 of the Herald Sun Tour in Australia two weeks ago. Swift claimed 3rd and 7th in Valencia last week. And having returned to ride for Team Sky this year he will fancy this race as an ideal opportunity to take his first victory in four years. He last won a race on stage 2 of Settimana Internazionale Coppi e Bartali (2.1) in 2015. Since then he has spent two seasons with UAE Team Emirates but has now returned to the Team Sky fold. However, while Swift will be gunning for a win, it will be very interesting to see how Dunbar performs and if he gets any leeway. The three road stages are not in the high mountains but neither are they flat. And some of the terrain is very suited to him. The opening 8.8km TT on Thursday in Saintes-Maries-de-la-Mer on the south coast is plan flat. And while Dunbar would prefer a few bumps, he is a good tester on his day. Friday’s opening road stage takes the riders 194km from Istres to La Ciotat. And though there are six short climbs on the latter part of the route, the final one is crested some 12.5km from the finish. The last two climbs – a 5km incline at 3.5 per cent and a 1.8km kick at 10.8 per cent – come one after the other. They may thin the field down and will offer a good early season test for Dunbar. Stage 3 is 159km from Aubagne to Le Castellet, held mostly on a circuit including six passages of a 2.7km climb at eight per cent. The stage ends at the top of the climb sixth time up and if the field is going to split that’s where the damage should come, something that can suit Dunbar if he gets a chance. The race concludes on Sunday with 170km from Avignon to Aix-en-Provence; six short climbs on the course. The final ascent is 13km from the finish.